The shooting occurred in the lobby of the Shawmut Avenue residence where Terrence Coleman lived with his mother on Oct. 30, 2016. Suffolk District Attorney Daniel F. Conley will not bring criminal charges against the Boston police officer who fatally shot Terrence Coleman in the South End in October after Coleman attacked Emergency Medical Services personnel with a knife. Officer Garrett Boyle was justified in using deadly force during the confrontation with Coleman in the lobby of the Shawmut Avenue residence where Coleman lived with his mother, Conley said in an eight-page report released Thursday. Coleman suffered from chronic mental illness, according to his mother. “In reaching these findings, I am keenly aware of the tremendous loss suffered by Mr. Coleman’s family members, particularly his mother, whose attempt to seek help for her son ended in his death during an armed confrontation with police,” Conley wrote in the report. During the Oct. 30 incident, Coleman, armed with a 5-inch serrated kitchen knife, tried to slash and stab EMS personnel who had been called to provide him medical help, according to the report. When Boyle and another police officer intervened, Coleman also attacked them. The officers wrestled with Coleman in a bid to disarm him, the report said, but “began to lose the ability to control him.” At that point, Boyle fired his gun twice at Coleman. Coleman did not respond to “verbal commands to cease his attack,” Conley wrote. He continued to resist and assault the officers when they took him to the floor. During an interview with police detectives last October, one of the EMTs who first responded to the scene, Terry Mentelle, described Coleman as a “ticking time bomb” and said the two police officers saved his life and his partner’s life. “I thought we were gonna die right then and there and that this was gonna be the end,” he said, according to a transcript of the interview. 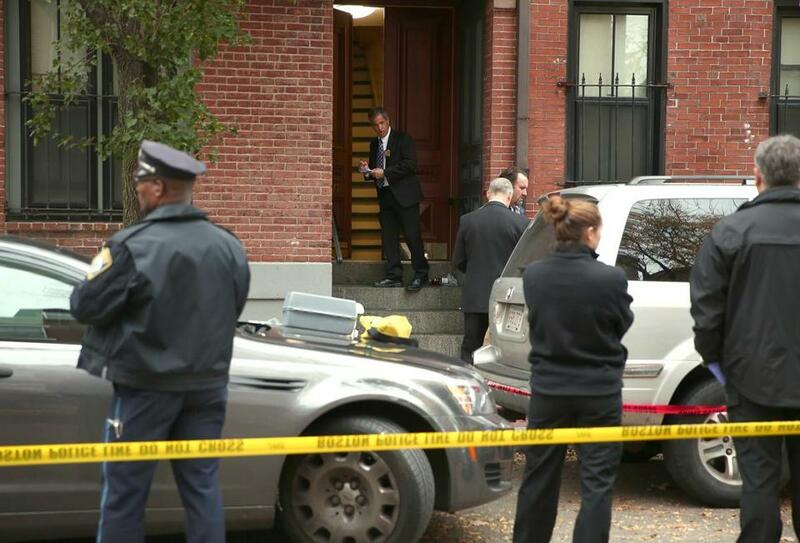 Boston Police Commissioner William B. Evans said the use of deadly force was justified. A copy of the full investigative file has been provided to Coleman’s family and the media. According to Conley’s office, the file includes more than 200 photographs, 90 minutes of radio transmissions — including an urgent call for help by one of the EMTs — and an interview with Boyle conducted after he was given his Miranda rights. Attorneys for a civil rights group criticized the district attorney’s report and vowed to fight for justice for Coleman. “The decision by District Attorney Dan Conley continues a disturbing national pattern of prosecutors failing to hold police officers accountable for fatal shootings of black men,” said Sophia Hall, a staff attorney at the Lawyers’ Committee for Civil Rights and Economic Justice, who, along with Fick & Marx LLP, represents Terrence Coleman’s mother, Hope Coleman. “The investigation that led to that decision was not truly ‘independent’ because the DA’s office works closely with Boston police every day,” Hall added. “All I want is justice for my son,” said Coleman, who on the night of her son’s fatal shooting had called for an ambulance to take him to the hospital. “Terrence Coleman did not need to die, and his death confirms the urgent need for meaningful reform in how police departments train officers to deal with mental health issues,” said Oren Sellstrom, litigation director at LCCR. Hope Coleman told police at the scene that her son suffered from paranoid schizophrenia and that he had “not been acting like himself,” according to the report. Emmett Folgert, executive director of the Dorchester Youth Collaborative, attended a meeting Thursday with Boston clergy and community leaders where Conley’s findings were discussed. Those leaders, Folgert said, talked about police body cameras, and the Boston Police Department pilot program to test the devices. The pilot, in which 100 officers have worn the cameras, ends in September. The officers involved in the fatal shooting of Coleman were not wearing body cameras. Rachael Rollins, chairwoman of legal redress for the Boston branch of the NAACP, said body cameras would have helped with sorting through the varying stories from police and EMTs, and Coleman’s mother. 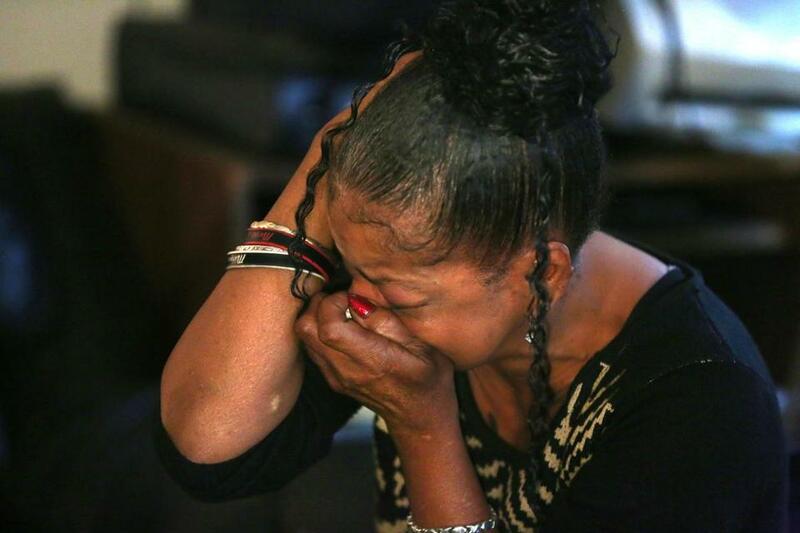 “All I want is justice for my son,” Hope Coleman said Thursday. On the night of her son’s fatal shooting, she had called for an ambulance to take him to the hospital for medical attention. Danny McDonald of the Globe Staff contributed to this report. John R. Ellement can be reached at ellement@globe.com. Follow him on Twitter @JREbosglobe.